The mission of the school’s Operations Team is to make teaching better and easier by directly supporting the academic program. The Operations Coordinator (OC) position is integral to the success of this mission, as they will ensure our staff and our scholars have everything they need to be successful and that information is passed effortlessly and seamlessly between scholars, parents and staff. The OC will implement and manage clear systems, revising them as necessary or needed, so that Coney Island Prep runs smoothly on a day-to-day basis. 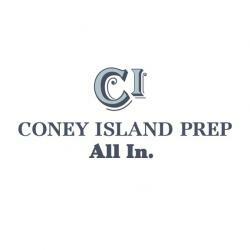 He or she will be the first point of contact for all students, families and visitors to Coney Island Prep and will play a key role in scholar and family engagement -- particularly as it relates to school attendance. The OC will work tirelessly to ensure compliance around all student data and files and will help coordinate and communicate the initiatives of the Operations Team at large. The OC will be hired by and report to the Director of Operations. Manage after-school scholar activities (consequences, sports, enrichment) including roster creation, family communication, room usage and necessary permission slips. Maintain and update student files for current and accurate academic, family contact, health, parental permission and all other documentation. Assist teammates in planning and executing all student and family events, including family conferences, field trips, etc.